#TravelTuesday Reasons to Love Cape Town? My Top 7! Strikingly beautiful, Cape Town is a year-round City. From Table Mountain to the Cape Town Waterfront, every angle and every view cries out for an Instagram worthy photo. Add to this the Temperate Climate - by Seoul, South Korea & Mid-Atlantic, USA standards! – and it is clear why so many people call Cape Town not only their Dream Vacation spot, but home. Spending the day experiencing Cape Town’s Landscape & Climate at the spectacular Kirstenbosch National Botanical Gardens offers an amazing array of Botanical Knowledge and Experiences. Kirstenbosch is run by the South African National Biodiversity Institute. If there is a member of the Family whose passion is Botanical in nature, this is the spot to dedicate at least a day’s exploration. As with all of Cape Town, make sure your camera batteries are full and there is plenty of space for all the pictures you could dream of taking. Kirstenbosch is a great way to experience Cape Town’s Unique Landscape & Climate. On everyone’s list when visiting Cape Town is of course Robben Island. Yet, there are many more Museums than those often expected by Tourists. Cape Town itself has gone out of its way to attract the largest collection of modern African art in the World, the Zeitz Museum of Contemporary Art Africa. Cape Town has such diverse Museums as the South African Jewish Museum, offering Heritage Experiences of the Jewish Diaspora, to the Heart of Cape Town Museum, which highlights the world’s first human heart transplant. There are also amazing gallery areas, all of which can be tailored into a bespoke Cape Town Experience. A few important opening notes: Unlike most Museums in the World, the Zeitz closes on Tuesdays, rather than Mondays. And, the SA Jewish Museum is closed Saturdays and Jewish Holidays. Make sure to plan accordingly! 3) Food & Wine & Gin & Rum & …. After the Sun, Beaches, & Laidback Lifestyle, many find Cape Town synonymous with good Food and Drink. While the first drink to come to mind may be Wine, Cape Town has a burgeoning and dynamic Micro Brewery industry. Both Gin and Rum production, on a small, artisanal scale have boomed throughout the Western Cape. 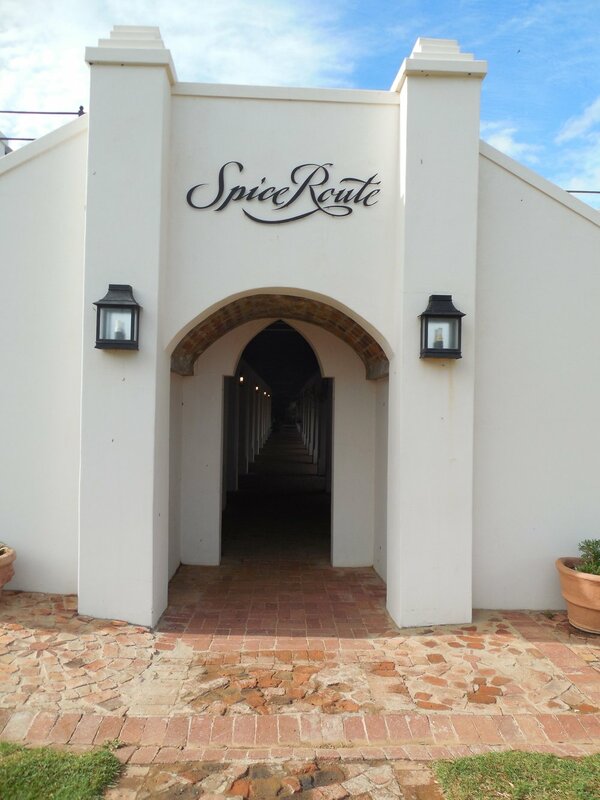 In fact, these Spirit Distilleries have become an integral part of Cape Town Tourism. Offering tastings, just as found in the World Famous Cape Wine Region, hard liquor producers have created a truly niche market, in their own right attracting Tourists from around the World. Another note about opening hours: As these are often, small, family run, working Distilleries, many are only open limited hours for their delicious Tastings. For instance, on of my favorite micro Gin Distilleries, Hope on Hopkins, is open on Saturdays only, between 12pm and 5pm. But, they are well worth planning to visit and almost all offer non-alcoholic alternatives for the youngsters and teetotalers in your group. While the Victoria & Albert Waterfront, and specifically my beloved Woolworth’s, is the center of Cape Town Shopping, there is so much more to explore. Last year I was looking for reusable copper straws and was able to source them at a specialty shop, Blink, on Regent Road, Sea Point in Cape Town. And, while you often hear people warn “never purchase from a hotel gift shop” I have found the opposite to be true throughout Africa. In Cape Town, several of my favorite pieces of Patrick Mavros jewelry were sourced from Hotels which carry his collection. As well as my unique, one-of-a-kind hand embroidered wildlife placemats were found at the Westin Cape Town Gift Shop. Of course, there is also always the opportunity to purchase that exceptional, ethically sourced South African Diamond. You can find more details about this type of experience in my Art, Wine & Safari, Cape Town & Kruger, South Africa Experience. Cape Town offers the international, world traveler shopping options and choices not found anywhere else. Who doesn’t love to fit in a bit of time at the Spa while vacationing? Like many other aspects of Cape Town, you can find World Class Spas throughout the City. One of the benefits of Cape Town being such a modern, sophisticated City is also the flexibility of services. On more occasions than I’d like to admit, I have arrived in Cape Town, prior to a Business Trip, and needed some immediate Spa Services. I have always found a Spa who could fit me in last minute, while still providing Top Notch Service. Of course, one of my favorite Spas in Cape Town is Heavenly Spa by Westin. In addition to offering great Spa Treatments, you can also request a private massage in your room – a service I have found not many Hotel Spas offer. One of my favorites is Heavenly’s Signature Massage, which offers, “…the pure essence of marula oil to aid relaxation and celebrate Africa’s deep spirit.” Marual Oil = Heaven! I have raved on numerous occasions about Medical Tourism to South Africa. Last year in Cape Town I was able, at an exceptional cost, receive State-of-the-Art Eye Care. You can find my blog post on this experience here. And, as if to put the icing on the cake, just a few weeks ago I was back in the States talking with a friend of mine who needed to go for an Eye Exam. She was dreading the awful, painful “deluted eye” exam. She had never heard of the exam now being done by computer, as I had experienced in Cape Town. You better believe I suggested some Medical Tourism. No matter how enchanting the views, delicious the new opportunities for exploration, or enticing the off-the-beaten path may be, all places of travel on Earth are made by The People. If New York City is the melting pot of the World, Cape Town is the fusion, multicultural Capital of Africa. Of course, Cape Town’s bread and butter is the Hospitality Industry. Thus, there is, as would be expected, the highest quality of Customer Service. But, I have always been able to feel the genuine. The People of Cape Town are truly welcoming. There have been few places on Earth, to which I have traveled, that from the very beginning I was creating deep and lasting friendships. So, even with all the other amazing reasons, The People of Cape Town are my top reason for loving Cape Town. #TravelTuesday Tourism Industry Changes in Child Policies - A Future Trend? Hamilton Parks no longer accommodate children under the age of 12 as of 1st January 2019. Child Policies on all online booking sites have been updated. As from the 1st January 2019, we have taken the age limit and changed the age to 12 years of age, we have done extensive research and have decided to go this route, of course we will honour the bookings made and will endeavour to assist all agents and guests with the requests, all online platforms have been changed to reflect this. Please let me know your thoughts, should you need some form of conversation regarding this issue please contact me, I would really like to chat with you. I was pleased to receive this email and immediately let Lyn know. I want to be very clear, I do believe there is a time and place for young children on Safari and Traveling in Africa. Accompanied by conscientious, caring parents, younger children can offer a wonderful, fresh perspective to seeing animals in the wild. Unfortunately, in my experiences on Safari, these parents are the rarity. On two occasions, in South Africa and in Kenya, I have experienced children disrupting Wildlife Experiences. I am not overstating the situation where in one of these instances the neglectful parents could have led to the deaths of their children. In my opinion, having seen this first hand, it is a situation no Safari Provider or Lodge Owner should ever be placed in. Why These Changes in Policy? I reached out to Lyn Mulder and asked her some questions about their decision to change the Child Policy. Below is our communication on the Change in Child Policy. Amy: Thank you Lyn for answering my questions about your changes to Hamilton Parks Lodge’s Child Policy. I appreciate your taking the time to help educate us on what I am sure was a decision you did not make lightly. Could you tell us about how you went about making the decision to change your Child Policy? As I have shared with you, I have personally had two experiences, one of which could have been fatal to the children, where young, neglected children have been placed in situations which were inappropriate. Is there some advice you would give to parents considering taking young children on Safari? Do you think this is a trend, toward setting age limits, that is going to take hold in the Tourism Industry in Africa? Flyga Twiga™ LLC complies with all Industry Provider’s Policies as well as the Laws, Rules, and Regulations set in place by the African Nations and their Tourism and Wildlife Authorities in which our Clients will travel or transit. As such when we are working with Clients with Children under the age of 18, we require copies of Passports and Vaccination Documentation. I am always amused when I hear someone claim their’s is the “best approach” to Wildlife Conservation. As a Wildlife Conservationist, I adhere to the wholistic approach – everyone, every group, every method, who is striving toward the same goal of saving Endangered Animals, plays a vital role in Wildlife Conservation. And, there are profoundly different approaches, all of whom should be cheered and lauded for their parts in helping save the Endangered Wildlife of Africa. Here are 9 of my favorites, with some new approaches making the list as well. Please feel free to put your favorite in the comment section! With the increase in violent poaching in the past few decades, there has emerged groups of highly trained Counter or Anti-Poaching Units (APUs). Two such groups are Vetpaw and the Black Mamba APU. These highly trained “Boots on the Ground” APUs conduct Wildlife Conservation by going on the offensive against often highly armed, dangerous Criminal Poachers. Both groups offer back-up and assistance to the courageous Wildlife Rangers who put their lives on the line everyday to stop Poaching. Bravo to VetPaw and The Black Mambas! One of the hottest, most exciting new developments in Wildlife Conservation is the use of Artificial Intelligence (AI). Headquartered in Washington, DC, the nonprofit RESOLVE's Biodiversity and Wildlife Solutions Program just announced its new TrailGuard AI. As my good friend Matt Thomas, who has long been interested in and studies AI says, ”AI is like any other major advancement in technology. We can use it for great evil or great good. It is our choice.” TrailGuard AI, and its ability to help Conserve African Wildlife, is most definitely for the greater good. Often giving the loudest “voice” to Conservation, Activists Groups play a central role in saving the Endangered African Wildlife. There are so many wonderful groups, I will highlight one whose work I have supported and who’s current Chief Operating Officer (CEO) is one of the Powerhouse Stars in African Wildlife Conservation. WildlifeDirect (previously the Africa Conservation Fund) was founded in 2004 by the beloved conservationist, Dr. Richard Leakey, and former World Bank Representative to Kenya, Harold Wackman. With this great heritage, in 2008 Paula Kahumbu became CEO of WildlifeDirect. Under her Leadership, she has helped transform Conservation in Kenya. Through her work, WildlifeDirect playing an instrumental role in seeing the first ever, First Lady of an African Nation, adopt a Conservation Campaign. Through the “Hands Off Our Elephants” Ms Kahumbu’s WildlifeDirect has been a guiding force in changing the way Kenyans view Wildlife Conservation. As the video above from the Nairobi 2015 “Global March for Elephants & Rhinos” shows, Activist Groups play a key role in having local communities become involved in Wildlife Conservation. I had the honor of attending and meeting Ms. Kahumbu in person and march with her during the rally. Again, each approach to Wildlife Conservation is like the Ecology itself, we all have a role to play. This may be a bit controversial. And, by Zoos, I mean modern-day, state-of-the-art, compassionate, well designed Zoos. I am of the opinion that Zoos are one of the Cornerstones of Wildlife Conservation. Aside from the great work they do to help protect animals, it is here, at the Zoo, where many children first learn about Wildlife. For some children, seeing a Giraffe, or an Elephant at the Zoo will spark a lifelong love of Wildlife, which I believe can lead to a passion for Conservation. Additionally, a lot of people don’t know about the amazing work modern day, state-of-the-art Zoos are doing – beyond the gates of the Zoos. In fact, the Wildlife Conservation Society, founded in 1895, is actually the international branch of the New York Zoological Society/Bronx Zoo. I proudly say, I worked for one of the oldest Conservation Zoos in the World! No surprise this one is near and dear to my heart. I truly, deeply believe that traveling to Africa and seeing the animals in the wild, is life changing. I have seen time and time again the shifts in perspectives, the transformational experience that is going on Safari in Africa. Having been blessed with a set of skills and knowledge, born from living and working in Africa, it seems natural to bond my passion for International Development and Wildlife Conservation through being part of the Tourism Community. But, it isn’t just me who sees the hand-in-hand relationship to Travel and Conservation. Each year The Explorers Club, of which I am a Member, Lowell Thomas Award is given. Nicknamed “The World’s Foremost Globetrotter,” Mr. Thomas instilled a passion for exploration, and conservation, at a time when the world was “opening up.” Mr. Thomas was a Member of The Explorers Club as well, and I hope to instill the same love of Travel and Conservation to others, just as he did for so many in his time. While DSWT is committed to re-introducing orphaned elephants to the wild, my all-time favorite Animal Sanctuary, The Elephant Sanctuary, South Africa, takes in Elephants who cannot be re-introduced into the wild. Through positive reinforcement domestication, these Elephants live out their lives being Ambassadors for their highly Endangered Species. By interacting, ethically, with these magnificent Ambassadors, visitors to the Elephant Sanctuary can learn more about the true nature of the Endangered Elephants. It was during my first visit to the Elephant Sanctuary South Africa, over 10 years ago, where a deep love for and desire to save African Wildlife began to encircle my heart. Animal Sanctuaries, and especially those working with the highly Endangered Elephants, have an extremely important role to play in Wildlife Conservation. Much like Zoos, Animal Kingdom Parks have to be qualified. The Animal Kingdom Parks, of which I am speaking, offer safe “Safaris” and Wildlife Experiences. And, as with Zoos, I see these as highly beneficial for sparking an early interest in Wildlife Conservation in young children. The best example I have of this is the experiences my friend Heidi Thomas (wife of aforementioned Matt Thomas!). Heidi & Matt have regularly taken their three children to experience Disney's Animal Kingdom Theme Park. Heidi has shared with me the true joys here children have gotten from their “Safaris.” I am not surprised honoring Walt Disney’s legacy with an Animal Kingdom Park. A little known fact, at the time of his death in 1966, Walt Disney had one of the largest African Mask Collections in the entire United States. And, if Walt Disney’s and other Animal Kingdom Parks inspires future Wildlife Conservationists – I am all for them! Often after a first Safari and seeing the African Wildlife in the wild, people often look for ways to share their soul changing experiences. Many also look for avenues to support and become part of Wildlife Conservation. One way of doing this is by writing a book. For example, inspired by her first Safari, my Friend and Author, Mary Jane O'Loughlin, was inspired to write the book “Ruby and Baby an Unlikely Friendship.” It is through this book that she shares her love of African Wildlife while having a portion of the proceeds support, Amboseli Trust for Elephants. Sharing her love for African Wildlife and supporting the Amboseli Elephants at the same time, Mary Jane greatly contributes to Wildlife Conservation! My favorite new way to approach Wildlife Conservation is Social Media Influencers using their Platforms. A unique, and extremely effective form of communication, these Influencers can reach a vast audience. The perfect example of this is Social Media Influencer, Kait Hanson, of Communikait. Kait is a Lifestyle and Travel Blogger, Writer and Photographer. In addition to her exceptional Website & Blog, Communikait, Kait’s influence includes nearly 9,000 followers on Instagram. Her Communikait Facebook Page has over 3,000 Likes, and she has over 4,500 followers on Twitter. She rounds out her Social Media Powerhouse with 709.4k monthly viewers on Pinterest. That is a lot of Influence. During her first Safari in Africa, Kait used her Social Media Platforms to showcase her Safari and the highly Endangered African Wildlife. Each of her posts had hundreds of Likes and Comments. For instance, her posts about seeing one of the last remaining Rhinos in the Wild, went out to her tens of thousands of followers. And, equally as important, to followers who may never been exposed to the realities of Endangered Animals and how close we are losing whole Species. As a high-profile Social Media Influencer, Finch Hattons Luxury Tented Camp, asked Kait during her Safari to take over their Instagram Account. Located in Tsavo West National Park, Kenya, Finch Hattons astutely has realized the power of Infuencers in Social Media. And, they picked up numerous followers thanks to Kait’s Infuencer Status. By using her powerful Social Media Influence, Kait is able to reach and educate a vast amount of people on the importance of saving Endangered African Wildlife. As one of the newest approaches to Wildlife Conservation – Kait’s contributions as a Social Media Influencer are the absolutely perfect Win-Win. A thousand cheers to Kait for all she does for Wildlife Conservation as a Social Media Influencer – Brava! their role in Wildlife Conservation! Seeking the warmth of the Arabian Gulf, leaving behind the Siberian High sweeping through Korea, in 2016, my husband and I sought out one of our favorite places, Abu Dhabi. During this trip, our tour guide pointed out the construction of the Abu Dhabi Louvre. I have traveled numerous times to Qatar and seen its spectacular Museum of Islamic Arts, as well as their unrivaled Mathaf: Arab Museum of Modern Art. Open just under a year when I visited the Louvre Abu Dhabi, I was surprised at how I fell in love with the Museum. In the just less than two years since I was last in Abu Dhabi, the project had slipped from my sphere. From time to time I would see an article on its progress, but I was busy with other projects. I simply hadn’t made visiting the newly opened Museum a priority. The Architect, Jean Nouvel’s vision sees "Bridging Land and Sea." He succeeded. I believe he created the perfect background of calmness with which to view "the cultural achievements of mankind from prehistoric times to the present day." And in my opinion, prior to the Louvre Abu Dhabi, one of his most iconic & my favorite of his work - Gasometer A, Vienna, Austria. Even the Museum's Café was designed by the Louvre’s famous architect, Jean Nouvel. His vision for the Café was to create a space where, "visitors can hope for waves of the sea to touch the sky," while enjoying your dining experience. Every detail in the Café has a nod to the Louvre Abu Dhabi, such as the paper placemats with the iconic roof design. The Café’s desire is to tell “international stories that highlight the similarities between us, in harmony with the spirit of the museum." Nouvel’s play on light in the Louvre Abu Dhabi I feel falls under one of those extraordinarily rare places where even the most vivid of descriptors cannot reveal the experience. Each corner of the Museum offers a new play on light, a new way of viewing the Arabian Gulf, Abu Dhabi, and the piercing Sun of the Desert. This extends into the play of light in how he offers light for exhibits. During this visit to the Louvre Abu Dhabi, I was particularly moved by an Oriental Rug Display. Light plays on our souls in different ways. And, while among the great works of art from van Gogh to Picasso to da Vinci and the multitude of early Islamic works and writings, this piece spoke to me of my childhood. The plays of light I grew up with in my family home in Virginia. Light from the sky, enlightening our home. The Art World and the development of Museums are nearly always plagued by controversy. As someone who incorporates Art into my Travels, I have been blessed with the confidences of those in the Art World who have shared their experiences and opinions with me about several new museums which have recently opened. I view Museums as much like Theaters. Do I really care if the Director and the Leading Actress had a raging dispute before the play? No. I care about the performance. The Louvre Abu Dhabi spoke to my soul. I found it to truly be a Universal Museum in the Arab World whose light offers new perspectives on as they had hoped in a "spirit of respect, curiosity, learning, and self-reflection." Next year will mark the 20th Anniversary of the founding of the Abu Dhabi Falcon Hospital. Under the late patronage of His Highness Sheikh Mohamed bin Zayed, Crown Prince of Abu Dhabi, the hospital has become one of the largest avian hospitals in the world. The history of Falconry in the United Arab Emirates (UAE) follows the rich path of the Bedouins. The first reference to Falconry in the Middle East appears in the ruins of Nineveh under the Assyrians in an engraving dated to 750 BC, modern day Iraq. There are two types of Falcons used in the United Arab Emirates (UAE) for hunting, the "Saqr" Falcon (Falco Cherruq), the Peregrine (Falco Peregrinus). In both cases the female is preferred. Today in the Gulf States, Falcons can go at auction anywhere from $5,000 to over $25,000. It can not be overstated the love the Emiratis have for their falcons, viewing them as members of the family. One of the most exciting and unusual tours offered in Abu Dhabi is that of the Falcon Hospital. Groups tours run throughout the day. Guided by an Emirati, the Falcon Hospital Tour is comprehensive. With traditional Bedouin hospitality, Tourists are taken throughout the facility and shown the multifaceted programs, research, and patient care being offered at the Abu Dhabi Falcon Hospital. Intensive Care Unit, capable of handling multiple emergencies – in private rooms – at once. And, in addition to the 200 air conditioned, private rooms, the Abu Dhabi Falcon Hospital also offers “free-flight aviaries of different sizes and free-flight moulting rooms,” during which time the falcons are given "special food menus and vitamin supplements." The hospital now sees over 11,000 Falcons a year. One of the most fascinating part of the tour of the Abu Dhabi Falcon Hospital comes when they give an extensive breakdown of the types of surgeries offered. From feather replacements to talon and beak repairs, the surgery is in almost constant use. Falcons can receive their annual check-ups at the Hospital, as well as full Veterinary Services. While on tour, guests are shown a sedated Falcon and discussions of the various surgeries and treatments. Throughout the tour, at the appropriate times, tourists are invited to touch the Falcons and even have an opportunity to hold one. For many visiting the UAE this is a once in a lifetime interaction with Falcons. The deep love the Emiratis have for their Falcons permeates every aspect of the fascinating tour. The great Falconer, His Highness Sheikh Zayed, created the concept of the “Falcon Passport.” The passport is approved by the Convention on International Trade in Endangered Species of Flora and Fauna (CITES). Issued through the Abu Dhabi Falcon Hospital, Falcon Passports are more than a way to transport birds from one country to another. Rather, Sheikh Zayed created the concept as part of his greater mission of Wildlife Conservation. The Falcon Passport was initiated to stop trapping in countries neighboring the UAE. His Highness Sheikh Zayed set up numerous Wildlife Conservation initiatives, both above ground and under water in the Arabian Gulf. And, many people are surprised when they first hear about the UAE as a Wildlife Conservation and EcoTourism destination. Thanks in part to programs such as the Falcon Passport, the UAE has become a Wildlife Conservationists “must see” with the Abu Dhabi Falcon Hospital at the very top of the list! #TravelTuesday Congratulations Mitre's Edge - South Africa Food & Wine - Raise Your Glass! In the Piedmont of the Simonsberg Mountain, between Paarl and Stellenbosch, is one of South Africa's most outstanding Boutique Wineries, Mitre's Edge Wine Estate. The Winery is family-owned and managed. They are a sustainable winery, "wholeheartedly committed to green and ethical winemaking." And, are members of the WIETA (Wine and Agricultural Ethical Trading Association). The May 2018 edition of South Africa Food & Wine Magazine highlighted as one of its top picks the Mitre's Edge Viognier 2017. The "Raise Your Glass" column, by Milu Lambert, praised the Mitre's Edge Wine as one of 5 outstanding South African Viogniers. This is a rare South African wine, as she points out in the article, as "...no SA brand is producing more than 500 cases of Viognier a year." Thank you MOAA for the Awesome Interview. The Honor is Deeply Appreciated! "Navy Reserve Spouse Helps Clients Plan the Safaris of Their Dreams," Military Officers Association of America (MOAA), 14 May 2018. Click here for online interview.